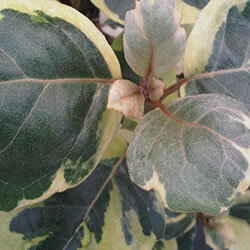 Evergreen shrub with creamy variegated foliage and large heads of white flowers. Hardy. Height of 2m. Spread of 1.5m.